This illustrated book introduces serious students of Anglo-Saxon culture to selected aspects of the realities of Anglo-Saxon life through reference to artefacts and textual sources. Everyday practices and processes are investigated, such as the exploitation of animals for clothing, meat, cheese and parchment; ships for travel, trade and transport; manufacturing processes of metalwork; textiles for dress and furnishing and the practicalities of living with illness or disability. Articles collected in this volume illuminate how an understanding of the material culture of the daily Anglo-Saxon world can inform reading and scholarship in Anglo-Saxon studies. Scholarly and practical material presented inform one another, making the book accessible to any reader seriously interested in England in the early Middle Ages. 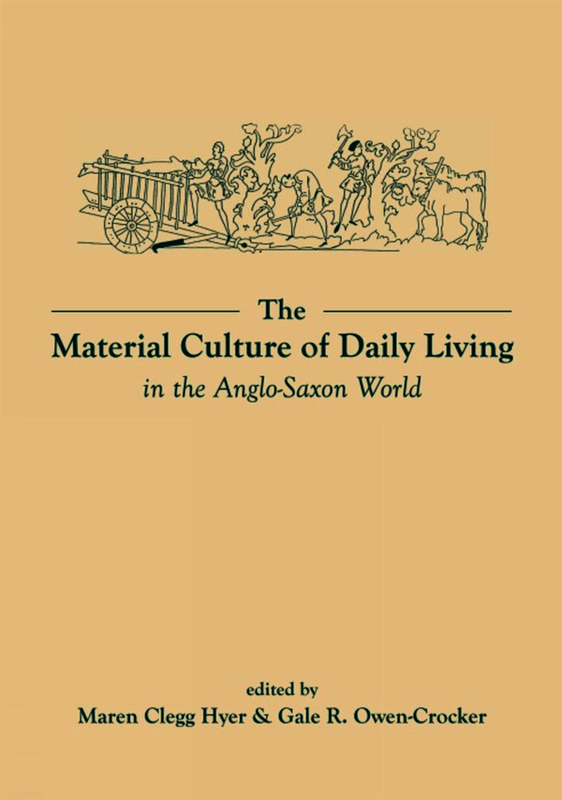 "The Material Culture of Daily Living in the Anglo-Saxon World is a detailed guide to living the “good life” in Anglo-Saxon England. It is an edited volume of refreshing works that provides a detailed schematic of Anglo-Saxon daily living and the intricacies of everyday tasks. This book highlights activities which may be simple and habitual but which define the traditions and practices of a society. The book provides a balanced examination of both textual and archaeological evidence on a variety of fundamental topics including dress, illness, trade and production. This cleverly structured text provides an extra dimension of material culture, one that discusses the practices and technologies behind creations. The potential literary gap between the disciplines of archaeology and history is bridged with eloquent and thoughtful prose. The layout is sophisticated, defined and easy-to-navigate. The structure and content choice are well selected with nicely linked topics. The well-chosen chapter topics playfully and succinctly examine key areas of Anglo-Saxon material culture and daily life, and the editors have used these to create an interesting taster text for the dedicated Anglo-Saxon student."